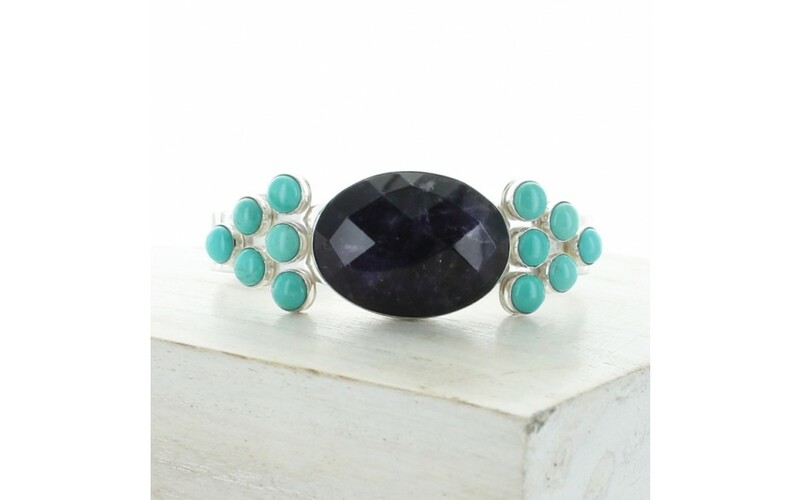 This huge faceted amethyst stone is the focal point of this eye-catching cuff. 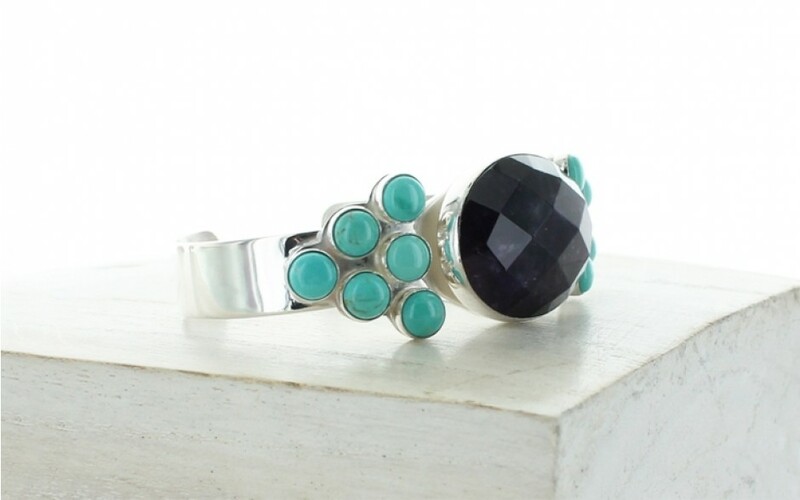 It is perfectly complemented by the turquoise cabochons on each side- 12 total. The oval shaped amethyst gives the cuff a wide silhouette which tapers toward the back of the cuff. The sterling silver shank is simple and further complements the turquoise and amethyst stones. The amethyst measures 30mm x 23mm and each round turquoise measures 6mm. The cuff is 6 1/2" long by 7/8" wide. The stabilized turquoise is Angel Peak and mined in Chile. The natural amethyst was mined in Zambia.